I have long believed that the North Woods hunter is given to nostalgia in a way that other hunters are not. My frame of reference contains grouse and woodcock hunters in particular, those fellows whose wool plaid shirts are worn at the elbows, who seem always to smell of spruce gum and wood smoke. 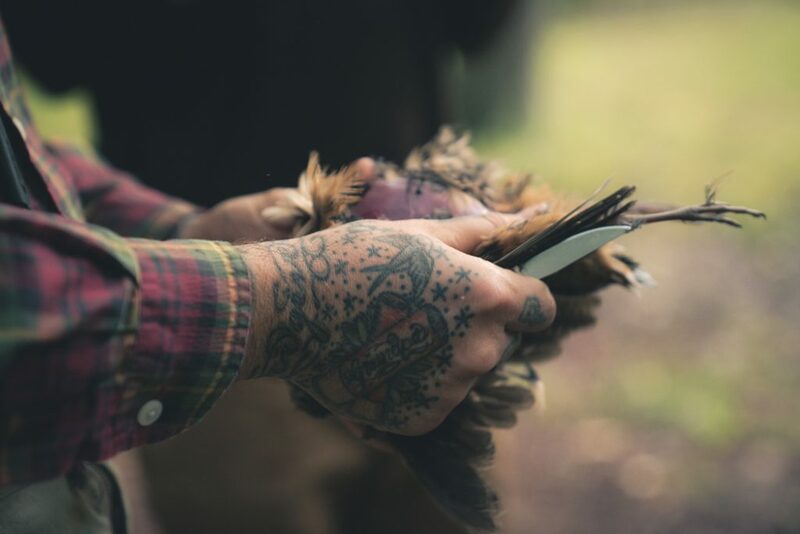 Those are the fellows I’ve known and admired—men who still drop birds with some regularity but shrug as if their days’ rewards are mere suggestions of what once was. “It ain’t like it used to be,” they say with a frown, forgetting somehow that their inadequate present is mine, too, but the best I’ve ever known. I suppose that one day my past, like theirs, will take on a gilt profile, like the illuminated margins of a backlit autumn popple leaf, and I may, too, develop a proclivity for bourbon and petulant head-shaking. I’d venture, though, that the North Woods hunter has been nostalgic for as long as grouse have thundered from the pine tops and timberdoodles have spun their way south . . . and yet somehow the seasons endure and the Octobers get no less magical. Despite these tendencies, the North Woods hunter is also given to treasuring moments—no doubt in part to anchor those gilded memories against the tide of passing years. No other fraternity of sportsmen has done so with as much reverence, or romance or artistry; no legacy of days afield remains so treasured. 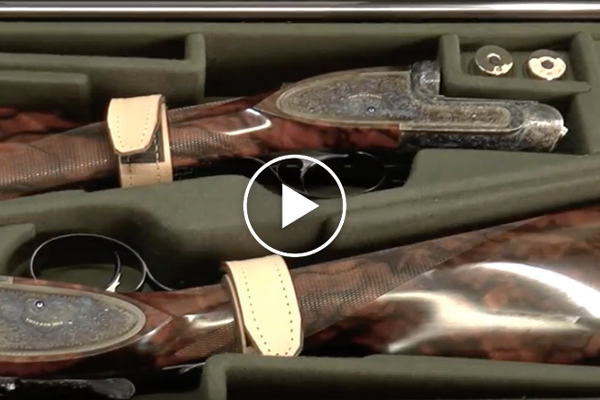 Spiller’s Octobers, Foster’s New England, Ripley’s alder bottoms and Evans’ setters . . . therein lies an almanac of autumns both timelessly relevant and familiar. But I’d venture that even those men, whose moments now transcend time, harnessed their days in paint and printed word as something of a retrospective. Though their imagery lends eternal flesh to grouse and woodcock and the moments we find them, they no doubt similarly assumed that the good ol’ days had come and gone and that their art was at root an homage to something fading fast to dust. So what of the Octobers that continue to transpire? Who is paying tribute to the timberdoodles that somehow still tumble into the moonlit alder bottoms and the “partridge” that evermore beguile us, despite our knowing better? 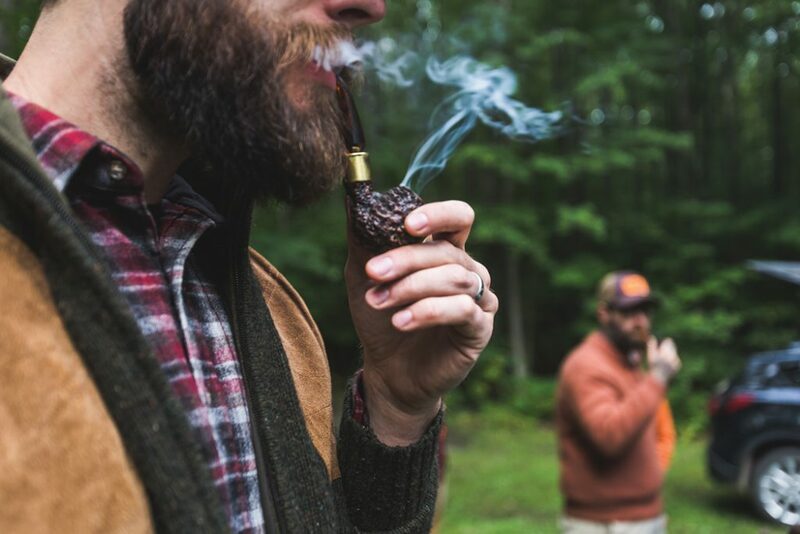 Could there be an epoch of North Woods hunters harnessing the moments that remain well lit and limp warm, like a bird in the hand or a setter by the fireside, feet paddling in woodcock dreams? Could it be that North Woods hunters will continue to be North Woods hunters—cantankerous and humble, hopelessly nostalgic—well into a foreseeable future? Envision a man pushing 40 with just enough gray in his beard to give him an air of competence. He runs three setters rich with Ryman blood and smokes sweet black Cavendish from a full-bent briar. In the crook of his arm is a 20-bore Parker with the case colors worn, and his brush pants are frayed at the cuffs. Through the autumn afternoons he walks the hardwood edges south of Lake Huron, stopping at day’s end to drink bourbon on the tailgate and listen to the ’doodles spill in. He’s known as an artist of some repute and a hand at spinning yarns. He has rows of leather-bound volumes on his library shelves, and in his woodshed a brace of still-limp biddies hangs by a cord. This man, Jason Dowd, could have stumbled clear out of Foster’s New England or into Evans’ Pennsylvania. But unlike those men, his landscape is a contemporary one, and he walks through woods that have come and gone, come and gone, and grown up once again since the supposed golden days of grouse and woodcock. His aesthetic bridges a generation gap with reverence. He’s a student of the past in a vital and consummate present, walking a northern forest awash in birch whips, birds and burgeoning autumn. Jay lives in Flint, Michigan, and he hunts the forests around Meredith. He writes and draws and muses, composing stories of his days afield in still life, in photo, in pen & ink. 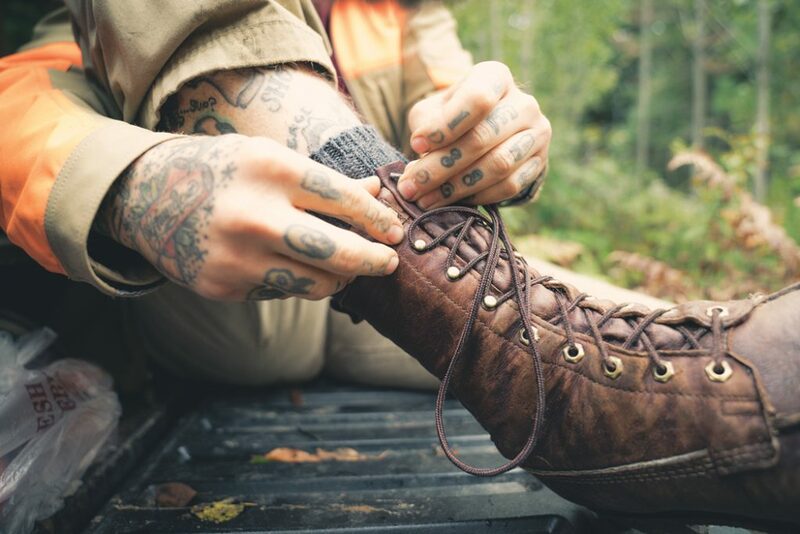 He has tattoos on his knuckles and on the backs of his hands, and he spends a bit of each week with his aging grandpa, who taught him to love a landscape. Perhaps he’s a relic of a bygone era; perhaps he’s a reluctant seer of what’s to come. You may know Jay Dowd, not by his given name but by his handle: “Upland Lowlife.” Under this moniker, Jay embarked several years ago on a social-media campaign using Facebook and Instagram to share his memories, just as Gorham Cross and Ogden Pleissner used paper and paint. With digital means, Jay harnessed his moments and shared them, as much for his own enjoyment as for the gratification of fellow upland gunners. He is unapologetic about the modern day, choosing instead to inhabit it; a timeless crescent of autumn reverberates out over digital channels, available at once to a world of rapidly digesting viewers. At first this outlet was primarily a way for Jay to record his days afield. But he stumbled into two sociological phenomena: first, he saw that people wanted to share his autumns, living vicariously in his present. Second, there grew a collective awareness of other folks equally as passionate and as reverent, hunting and writing and painting and drawing and similarly channeling their efforts across social media. Digital outlets shed fluorescent light into the shadowy corners, illuminating a fraternity that had been there all along. What Cross and Tapply and Spiller formed through shared geography, word of mouth and print, Jay and his brethren formed through Tweets and messages and hashtags. Different vehicles, different times . . . but in the end a communion of sentiment. I met Jay at his grouse camp, in the woods below Lake Huron. 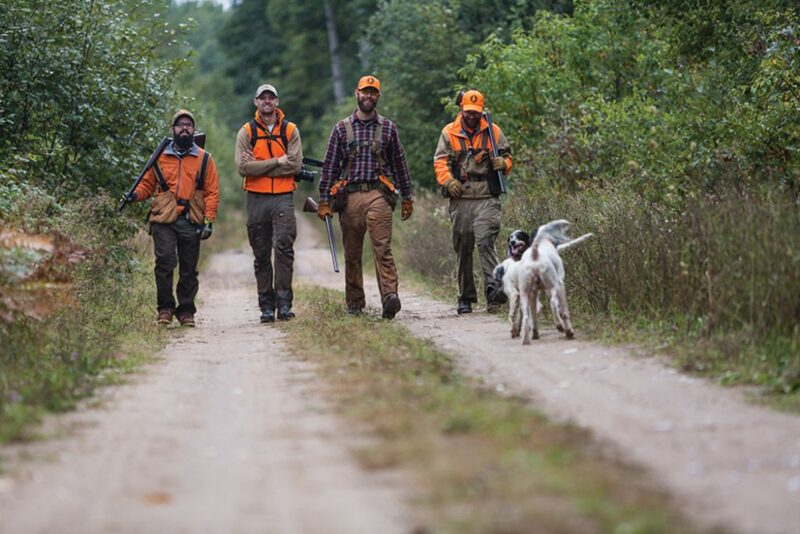 The invitation had been an obscure one: A mutual hunting buddy had been following Jay on Instagram and likewise had been following his pals “Northwoods’R” (aka Garret Mikrut and Nick Larsen), “Northbound Gundogs” (aka Matt Mates), “The Royal Flush” (aka Sam Glasbergem) and “Project Upland” (A.J. DeRosa). 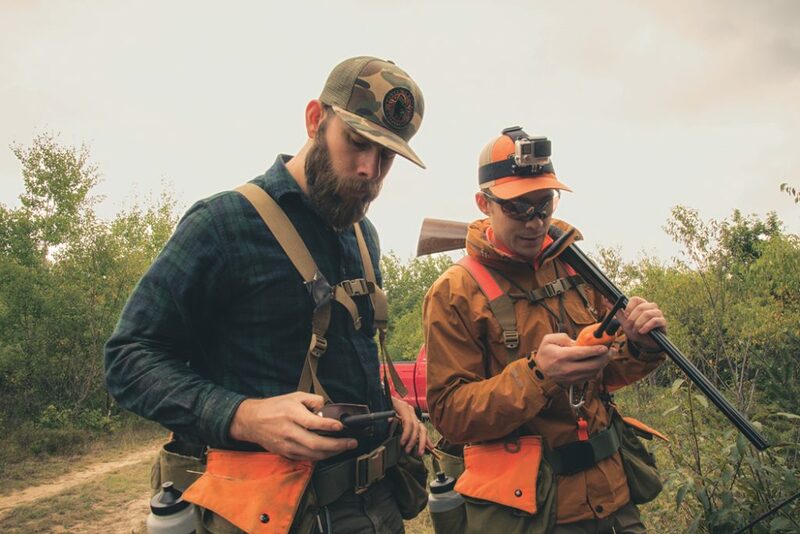 By virtue of what they were sharing, it looked like these guys were students of the past, ardent stewards of the future and fellows with a respectful but whimsical take on contemporary upland hunting. My buddy and I ventured west to find them in their element and see their aesthetic in motion. Camp was a small square house with all lights lit and a yard fire smoldering under a drizzly Michigan night. The boys were gathered around a table eating goose sausage and telling stories. They welcomed us with Stroh’s and whiskey and not the slightest question of our belonging there. It seemed that we were welcomed into their order, as cans, bottles and broken-down guns were swept aside to make room at the table. When the fridge was cracked for another round, I couldn’t help but see that the crisper shelves were stacked with birds, fully feathered and mellowing beside the groceries. We were rolled into the jokes at once and the retelling of the day’s events. As the night grew long, we moved outside and stood around the fire. 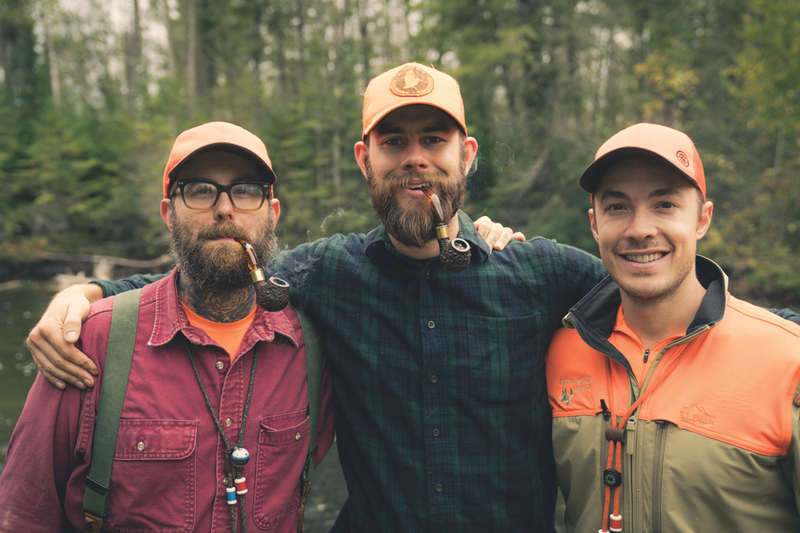 Garret and Jay lit pipes, Nick and Matt lit clandestine cigarettes, and Sam dodged barbed allusions to a certain grouse dispatched hours earlier from a tree limb (for shame). Jay laid out the plan for the days to come. In short, we’d hunt from dawn till dark, running the collection of dogs that were crated in every corner of the camp. We’d roam the country around Meredith and converge when we got hungry for a tailgate lunch of sausages and cheese and apples. At dark we’d return to camp and toast the day, feed the dogs and undoubtedly tell each other our lies. Many of the guns were of a vintage twice that of our oldest member. We slept cheek by jowl on the floor of the camp, with setters filling the gaps between our sleeping bags. At sunup Jay stirred and made coffee, and Garrett, his hair spiky and beard unkempt, stumbled out to test its mettle. The two went outside to smoke pipes and breast the previous day’s woodcock. I felt it my duty to start the bacon. The rest of the crew rolled out in dribs and drabs, and more coffee was made. Some blood-red scallops of meat were fried in bacon grease, and we ate bacon, egg and woodcock sandwiches for breakfast. Duly fortified for a day afield, we assembled guns and dogs and hitched up our suspenders, warming the trucks while the coffee pot was emptied into thermoses. In the field we spread out in pairs and threes, finding favorite coverts and hunting partners organically, largely based on who wanted to see whose dog run. Double guns were lovingly assembled and handed around for inspection. There were Foxes and Parkers and Winchesters and Webleys, none of them hugely fancy, all of them brush-battered and honestly used. Many of the guns were of a vintage twice that of our crew’s oldest member, who incidentally had managed a whopping 40 years. Phones came out, and photos were taken unobtrusively of dogs and pipe smoke, aspen leaves and bird tracks in the mud . . . the commonest sights so rarely given notice. We spilled into the coverts and followed dogs into Hemingway country, looking and feeling much as “Papa” must have so many years before. As I get older, I am increasingly aware of my own tendency to rely on nostalgia. As my kids grow and my hair thins, life’s passage becomes all too fleeting, compounding the more immediate passages of seasons and days. I suppose this is a natural part of growing older, cresting the hill and gathering momentum downward while the times that have passed become more distant and less clear. Maybe this is why we cling to those golden years, those glowing moments, as if compensating for their outlines growing indistinct. Oh, that we could instead see that the best is all around us—perhaps the best that’s ever been. The cut aspen leaves, now golden, sifted gently to the ground. I like to think that I don’t malign my love for grouse and woodcock hunting with that all-too-common assertion that “it ain’t like it used to be.” I like to think that I don’t have those curmudgeonly thoughts about the youth of today and their impatience, their detachment, their fascination with a digital reality . . . or lack of reality at all. I like to think that today’s North Woods hunter will cultivate the reverence and the language, the warm tones of Spiller and Leopold and Foster, but I may be deluding myself. In the popple whips of Michigan, however, I saw men cut from better cloth. The last bird I saw Jay shoot was a female woodcock that we somehow had missed, not 30 yards from the truck. We had parked along an access road beside a played-out oil well that heaved creakily along, whunking away at nothing. Jay’s top dog, Ruthie, had made a good run, and the middle girl, Georgie, had kept right up, and we all had seen the truck and the promise of water and a rest on the tailgate. Georgie gamely made one last cast into a spear point of aspens, and her bell stopped. In the green and the shadows all I could see was a bloodstained tail tip high and straight and sliver of white-flecked black. I wonder if they were blessed to know that the best days are here right now. Jay called the point, quietly positioned me outside and lurched into the pecker-poles to flush. I still can see him there: a bearded man in glasses, suspenders, mud-splattered boots and a threadbare plaid shirt, a faded orange cap slightly cockeyed on his head. He soothed the dog and walked ahead of her, his little Parker pointing skyward. He stomped in a circle and scanned the ground as I stood ready to do my part. Nothing rose. He released the dog. She didn’t budge. He looked out at me as if to call it off, and a little wedge of autumn broke free and tinkled out through the whips to my right, into space I could hear but not see. I watched Jay pivot then, shoulder a generations-old gun in a generations-old posture of sound intention. The gun spoke, and the dog broke and the cut aspen leaves, now golden, sifted gently to the ground. No piece of the tableau would have been out of place in an Aiden Lassell Ripley painting, and no gunner of that era would have been more proud of a white setter politely depositing a ’doodle into its master’s hand. At day’s end we sat and drank beer, and Jay petted his dogs, which flopped beside the truck, tongues lolling. Jay spoke about his young daughter and his grandfather and his pen-and-ink commissions of gamebirds in flight. He talked about making a go of his art full-time and his early successes in publishing tales of his hunting in several of the upland-gunning journals. He spoke of the season still to come and the friends he’d made through his online presence—friends who were just then emerging from adjacent coverts down the gravel track. He spoke about how, with social media, he’d been able to record moments just like the one at hand for himself, his daughter and anyone else who cared to see, which it turned out numbered quite a few. It all seemed to mystify him a bit in the way good artists always seem a bit mystified by their success. I wonder if, perhaps nearly a century ago, Tap Tapply, Gorham Cross and Burton Spiller ever shared a parallel moment. Dogs exhausted, guns broken, a little bit of strong stuff in a tin cup on the running board. Maybe they told stories liberally salted with idioms of their own: the Old Master and Grandpa Grouse marveling over a pa’tridge or two if the day was good. I wonder, too, if they, like their contemporary Upland Lowlife, simply were blessed to know beyond a doubt that the best days are here right now. 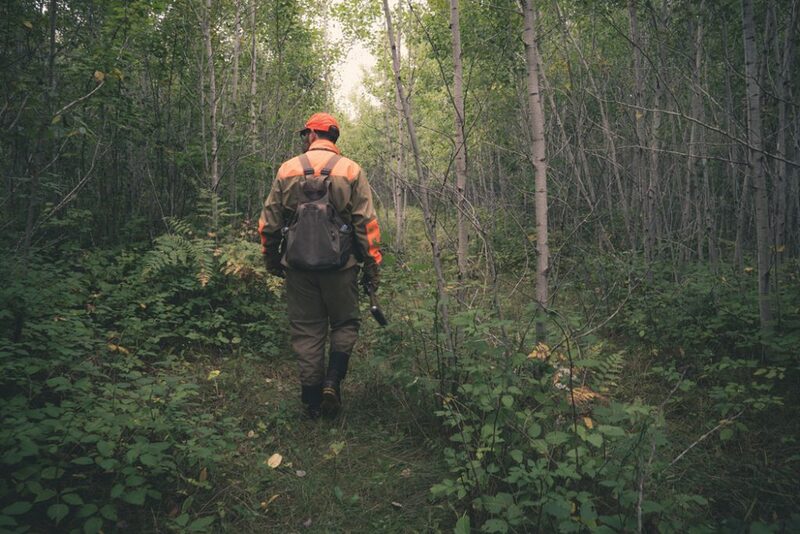 Maybe what makes the North Woods hunter whole is the conviction that this is the golden age of grouse and woodcock, and that should, indeed, be celebrated by whatever expression lies near at hand. 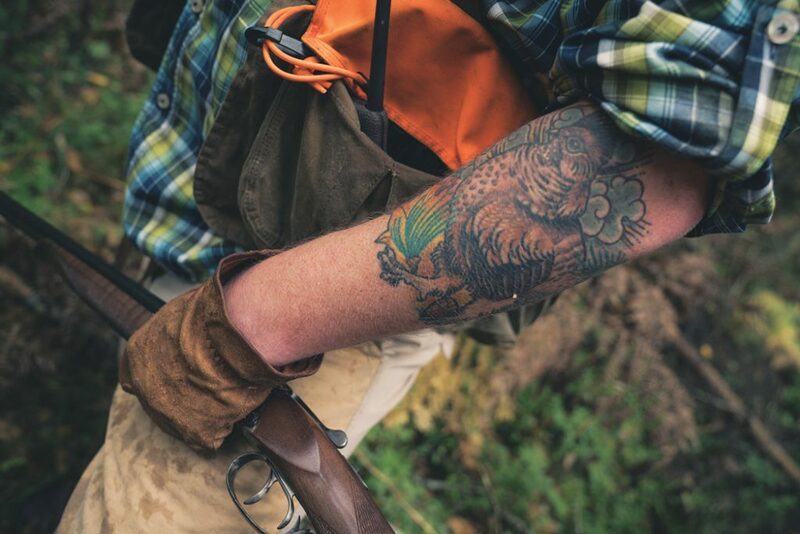 Reid Bryant is an Editor at Large for Shooting Sportsman.